I tried my hand at creating something a little different this week, compared to my usual splashy, color-filled paintings. Having recently learned some new skills from the great Lucy Brydon, a master Gelli print artist, I decided to experiment with my supplies to create an image which has been floating around in my mind. 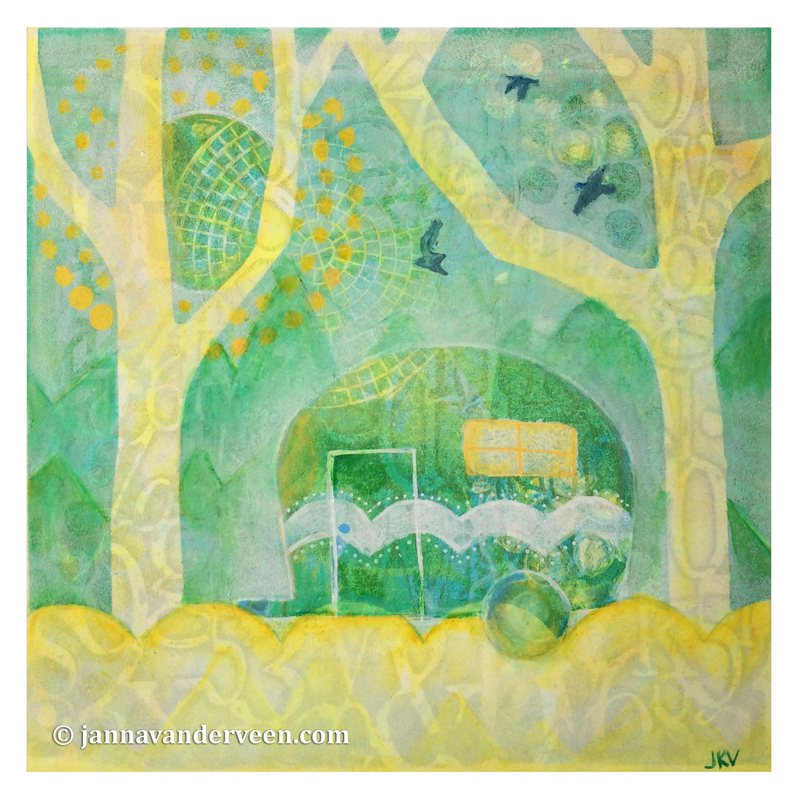 Using muted tones, I created a landscape scene using a Gelli plate and open acrylic paints. Drawing into the background after it dried, I added additional details using a variety of acrylic paints, Posca pens, Derwent Inktense Pencils, Caran D’Ache Luminance pencils and neocolor 2 crayons. It may look somewhat simple, but it was fun.